For over 40 years, the industry has acknowledged Advantek as a leader in compliance with global standards for quality, environment regulations, and a business code of conduct. 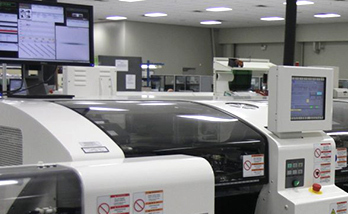 The reputation comes from years of perfecting their processes and staying true to their vision: to be the world’s leading provider of precision component delivery systems. 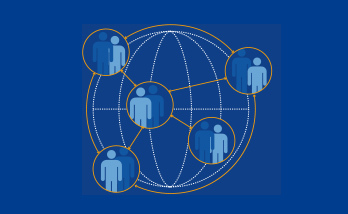 They focus on building long-term customer relationships and meeting their demands as the market changes. With this in mind, they understood how critically important it was to their automotive-specific customers–and the automotive industry as a whole–to comply with international automotive quality standards, IATF 16949. IATF 16949 is a Quality Management System (QMS) standard designed specifically for direct suppliers. Achieving IATF 16949 certification has been an ongoing project for Advantek. During this process, they learned how their products and production sites were not eligible for “certification”, as none of their products are directly used or installed into automobiles. This is a key requirement in certification. 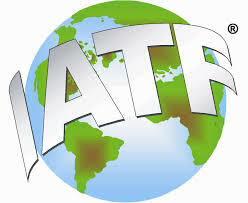 Although Advantek was not eligible to be certified, their quality objectives still aligned with the goal of IATF 16949. Specifically, the company develops and operates under a quality management system that provides for continual improvement, emphasizing defect prevention and the reduction of variation and waste. After passing IATF 16949:2016 QMS standard audits at their global manufacturing locations in the USA, China, Taiwan, and the Philippines, Advantek was awarded IATF 16949:2016 compliancy—an achievement as close to certification as they could qualify for. They received a Certificate of Alignment, acknowledging that their internal quality management system is congruent with that used in the automotive industry. “Advantek is again leading the carrier tape industry by attaining alignment to IATF, a global quality standard required of suppliers to automotive companies,” says Helen Mangente, Global Quality Assurance Director. Today, Advantek is proud to announce their procedures and processes are in full compliance with IATF QMS quality requirements. Achieving IATF 16949 compliancy continues to build on Advantek’s commitment to deliver industry-leading quality and Technology Made For You™. For more information, please contact Helen Mangente. ST. LOUIS, MO, June 30, 2016 — Advantek Inc., a leading provider of precision component delivery systems, has signed a purchase agreement to acquire all shares of Convolutor International AB, a carrier tape manufacturer in Laxa, Sweden. Worldwide demand for deep-pocket carrier tape is growing, especially for applications in the automotive and telecom sectors and among mechanical component manufacturers who utilize robotic pick-and-place technology. With the acquisition of Convolutor, Advantek will enhance its expertise and capability in deep-pocket and wide-width carrier tape and be better able to serve these manufacturers. 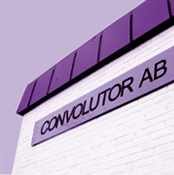 Convolutor will become Advantek-Convolutor AB. The sale is expected to be final in early July. Advantek carrier tape safeguards delivery of delicate components for computers, mobile phones, LED applications, medical devices, smart appliances, automotive systems and other technological products. For more information, visit www.advantek.com. Advantek is a wholly owned subsidiary of Robert Family Holdings (RFH) since 1992. RFH is a privately held, family business with origins reaching back to 1946. The RFH strategy is focused on managing growth and the acquisition of select companies. The vision to identify growth opportunities, the strength to develop technologies and the commitment to customers are the core elements of its strategy.